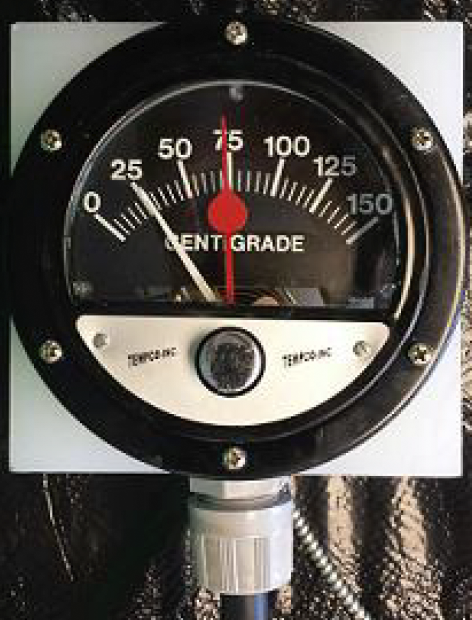 Marshalltown-Tempco has been manufacturing precision instrumentation for temperature indication and control for over 35 years. Mountain Controls offers the Marshalltown-Tempco temperature instruments in the following table. Review the information and accompanying datasheets and contact us to start your order. 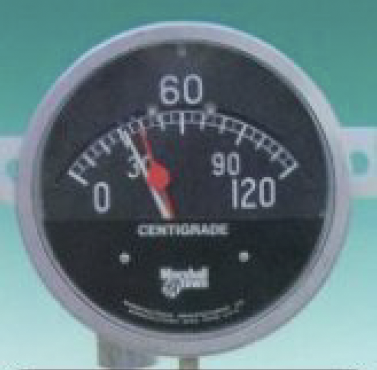 The T-2 and T-2E series thermometers are ideal for outdoor applications and applications where vibration causes issues with stability. 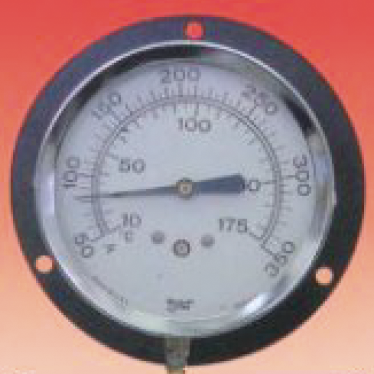 These units feature weatherproof construction, a phenolic case, and a red marking pointer that indicates the highest temperature reached between readings. The GM and GME series are available in either direct mount or remote mount cases and provide temperature measurement and/or control in applications that might encounter vibration. 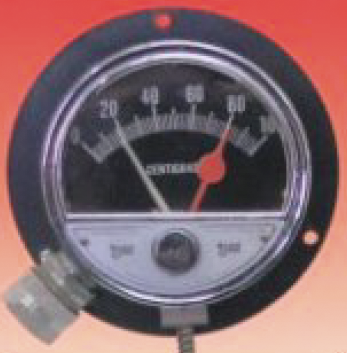 These units are available with up to three snap-action switches to activate alarms or control equipment. 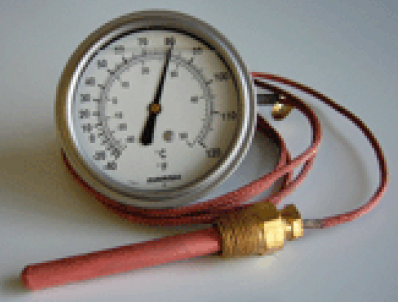 A red marking pointer indicates the highest temperature reached between readings. The RC series is designed for applications that encounter vibration and that require both temperature indication and control, such as oil-cooled electrical transformers. These units are available in a weatherproof case with up to four micro switches to activate auxillary electrical equipment and alarm devices, and the switch points can be adjusted without removing the unit from service. The SCF series is a linear scale thermometer that features a liquid-actuating sensing system and spiral-wound Bourdon tube to absorb shock and vibration, providing steady operation and accuracy in temperature readings. 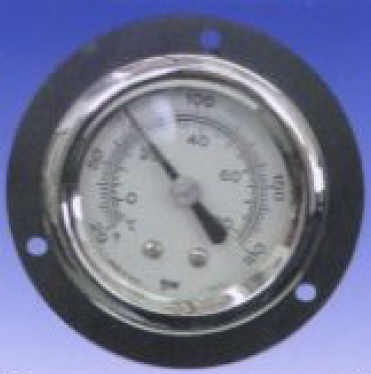 The SJ series is a dial thermometer that can provide accurate temperature indication to applications that encounter vibration. Like the SCF series, it employs a liquid-actuating temperature sensing system with a spiral-wound Bourdon tube to absorb shock and provide steady, accurate operation. The SJ series is available in a variety of case styles and temperature ranges. Marshalltown-Tempco offers two basic styles of vapor-actuated thermometers to allow for either remote mounting (up to 75 feet from the sensing bulb) or direct mounting of the thermometer for temperature indication. They are available in a variety of case sizes, temperature ranges, and other choices such as capillary and thermowell options. 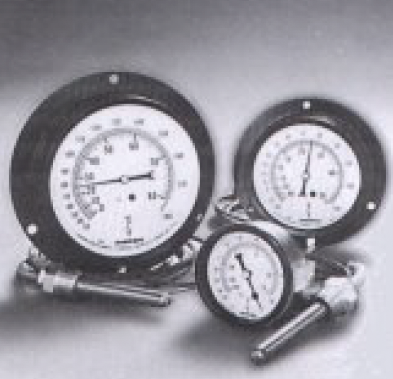 Marshalltown-Tempco offers four models of severe service vapor thermometers for applications requiring resistance to corrosion and severe vibration. They are available in a variety of sizes and temperature ranges.